I almost fell over from the cuteness of it all. I mean, curtseying! 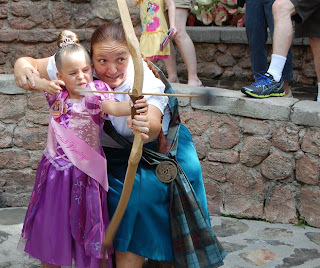 Plus, there was a Merida themed birthday. Yes, if you haven't figured it out, we were in line to see Merida, the princess from the movie Brave. You can see Merida on the side of the castle. The lines can get quite long so we went in the morning, right after Natalie finished with her Bippity Boppity Boutique makeover. We didn’t have to wait a long time. Soon we were up front and our turn was next. Natalie fingered her button on her sash, the one that said A Brave Princess. The people over at Bippity Boppity Boutique made it for her, because she told them her Daddy was deployed. 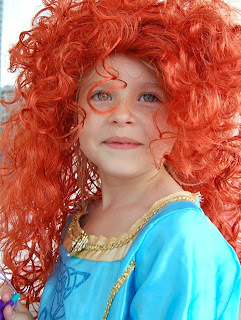 “Do you think Merida will like that I’m brave too?” Natalie wanted to know. 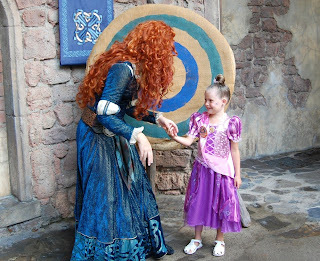 “Oh lovely!” Merida said and then looked over at me. I had on a green shirt. She went, “You look like my mother.” And yes, she spoke in a Scottish accent so it sounded like, “You look like my moth-hah.” It can sometimes be awkward when characters acknowledge you. Sometimes I’m not always as witty as I’d like to be. Sometimes I mutter something dumbly to my feet or just grin like Hannibal Lector. This time I had a response. I said, “Please don’t turn me into a bear.” I had seen Brave many times, thanks to Natalie. I knew the story. 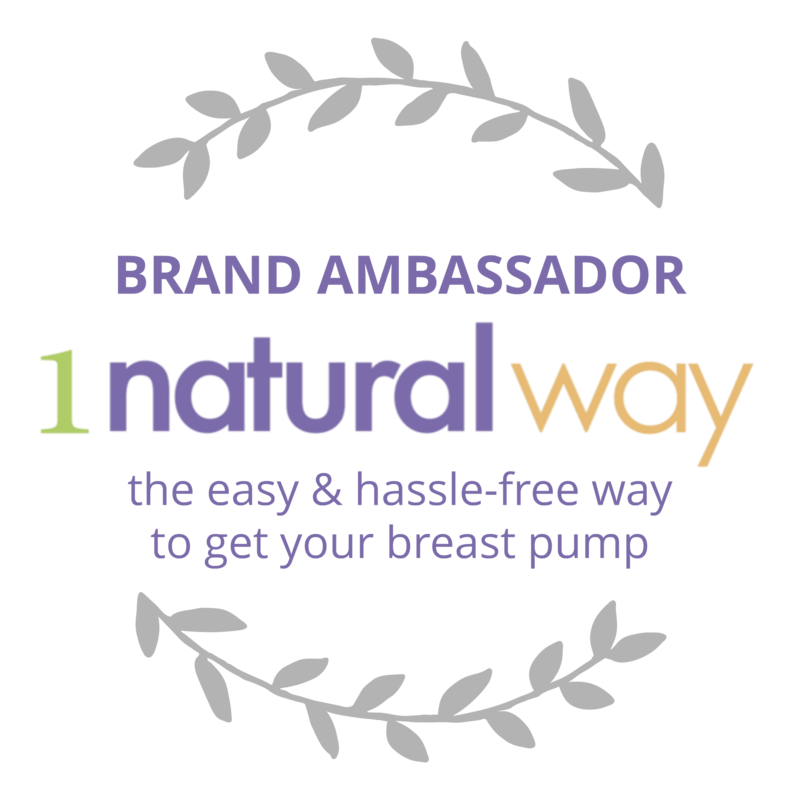 “She acts like a bear in the morning,” Natalie said. Well. Not really. But I wouldn’t have been surprised if she had. I am not pleasant before I’ve had my Diet Coke. 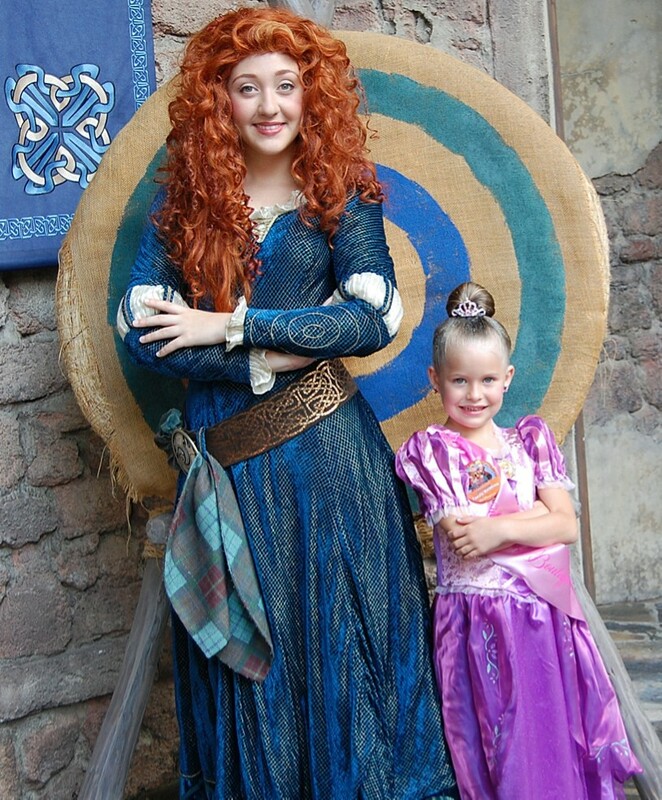 They took a picture…Merida suggested the pose, because they were two brave women. 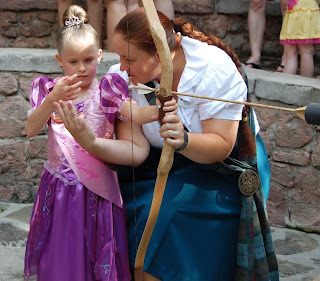 “I will,” Merida promised and waved. And yes, she got the arrow into the net thingy that was set up. “I did it!” Natalie said jubilantly. Meeting Merida was a hit. I LOVE the photo of Natalie posing with Merida! Just priceless! I can't believe how Natalie's face is changing! She is looking so grown up! I know exactly what you mean when you get tongue-tied on the spot like that. You nailed it this time though! So great that she had this memory making experience!!!!! I love Merida too. 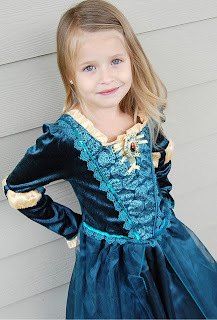 We needed more fairy princesses like here when we were kids! Wonder Woman was my idol back then. Great photos! Suspense!!! You know I'll be reading about Rapunzel..
My daughter loves Brave and for some reason I've only seen bits of it as I flit around and take care of the baby or read blogs or something. I have to admit that the music gets me. I get chills. I gotta see the movie. I told our Merida that Gabbie had danced to her song (Touch The Sky) and Merida says "I have a song?" isn't that her song? I felt dumb! I LOVE IT!! I've enjoyed your fun stories of Disney World!! I'm jealous. I'm pretty sure I'll a) never get to go & b) since I don't have a girl I won't get to enjoy introducing them to all of the fun Princesses. That is so awesome that she got to meet her! She's a beautiful princess and I love the pose together. She'll never forget this moment! She met all of her heros - did Tommy have anybody special that he saw? I am so wanting to go to Disney world! havent been there for years!